Did you know you can instantly save as much as $445 on selected HP Pavilion laptops? Customizable HP Pavilion dv7t and HP Pavilion dv6t (both are Quad Edition) lets you save as much as $445. Savings include $250 instant rebate, free 8 GB memory upgrade (you save $120), and free Blu-ray drive (you save $75). Deal is available from 3-7 to 5/8. 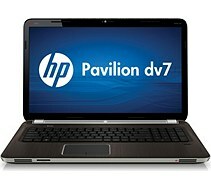 Click here to check out the HP Pavilion dv7t or click here for the HP Pavilion dv6t. Here's an exclusive offer from Dell, only made available through sites like Deal Item. You get 30% discount of any item on stock on Monday, April 30, 2012 6:00 AM CST to 11:59 PM CST. Use the coupon code 30%Anyitem. Click here to have a feel of the items you can purchase on Monday! Dell Financial Service Direct Sales provides home, office, business, and education solutions for all your computer needs. You'll find laptops, desktops, monitors, workstations, servers, networking, docking stations, printers, electronics, accessories, parts, and more. Click here to browse through all Dell Financial Service Direct Sales products now! Here are more Dell deals! You can save 20% on accessories for desktop and laptop computers. Claim your discount for both deals using the code 6SFF6C?CR428DK. Both deals are valid all the way until 08/04/2012 at 6am. Click here to browse through desktop accessories or click here to view laptop accessories! Accessories for both deals include the following - for desktops you have monitors, audio & headsets, wired & wireless mouse, keyboards & combos, web cameras, and graphic cards. For laptops you'll find docks & stands, bags & carrying cases, wired & wireless mouse, keyboards & combos, audio & headsets, and Dell batteries & power. Save $305 off Vostro 460 business desktop! Features include 2nd Gen Intel Core i7 processor, 4GB memory, 500GB hard drive, and Win7 Pro. Its currently offered for only $624. Click here! Save $370 off Vostro 3450 14-inch business laptop! Features include the following - 2nd Gen Intel Core i7 processor, 4GB memory, 500GB hard drive, and Win7 Pro. It's available for only $774 now. Click here! Save $370 off Vostro 3550 15-inch business laptop! Features include 2nd Gen Intel Core i7 processor, 4GB memory, 500GB hard drive, and Win7 Pro. You can get it for only $774. Click here! Use the coupon code MMWK?LV? ?T18V8 for all three deals. Deals expire on 05/04/2012 at 11:55pm. It’s the earth day extravaganza at MacMall.com! You can save as much as $749 on green or solar related products. This promo ends on Monday 4/23 at 11:59 PM PST. It’s free shipping as well for all orders of over $25. There are 30 items currently available for this deal. Check them all out by clicking here! The MacMall is your number Apple store! You’ll find Apple computers, storage devices or memory products, software, Mac accessories, iPad, iPad accessories, iPod, iPod or iPhone accessories, electronics, tablets, PCs, servers, and so much more. You can browse through the entire list of items offered when you click here! Tech for Less brings you its Earth Day special. 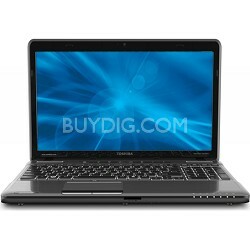 Save an additional 10% off refurbished Toshiba laptops already on discounted prices. 55 laptops are currently offered for this deal. This deal is valid for online orders only though and cannot be combined with any other deals. It’s also valid until 4/26 only so better hurry while the promo lasts. Check them all out by clicking here. Browse through the entire Tech for Less site as well for all other products including cameras, computers, drives, storage, laptops, monitors, tablets, portable audio, printers, servers, televisions, and so much more. Click here to start browsing through the site! Buy bundled products at Dell for you to save as much as $570. You can purchase desktops, workstations, laptops, monitors, servers, storage, networking, printers, ink, electronics, accessories, and more on bundle and save bundles of discounts too. This deal is valid from 4/17 to 4/30. Click here to start browsing through products you can be able to purchase in bundle! Aside from this deal, you can also take advantage of all other deals and offers available on the site including price drops of selected items, coupon codes for discounts, and so much more. Click here to browse through the entire site for more deals!